The Senate has confirmed Jay Powell as the next Federal Reserve chair. 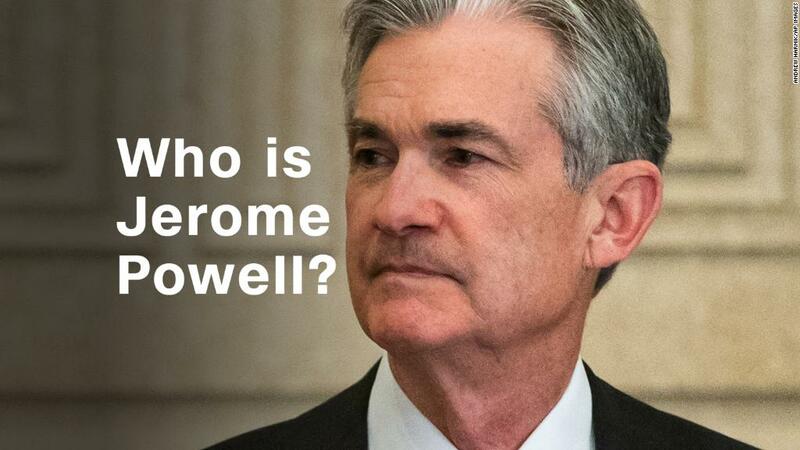 Powell, 64, has been a Fed governor for five years and helped shape policy under Janet Yellen, who will leave after a single term as the first woman to lead the world's most influential central bank. Powell has said his leadership would represent continuity with his predecessors. Since Powell was nominated by President Trump in November, progressive Democrats like Senator Elizabeth Warren of Massachusetts have raised concerns about whether he would be too aggressive in dialing back post-financial crisis reforms. "I'm deeply concerned that as soon as Governor Powell unpacks his boxes in the Chairman's office, he will begin weakening the new rules Congress and the Fed put in place after the 2008 financial crisis," Warren said according to prepared remarks. "We need someone who believes in tougher rules for banks — not weaker ones. That person is not Governor Powell." Despite those objections, Powell easily won confirmation on Tuesday by a vote of 84-13 with strong bipartisan support. Nearly 40 Democrats -- with Charles Schumer, Sherrod Brown and Ron Wyden among them -- crossed the aisle to support him. Shortly after the final tally was called, Democratic Sen. Dianne Feinstein reversed course, choosing to oppose Powell's nomination. She was joined by eight other Democrats and four Republicans including Sen. Marco Rubio, Ted Cruz, Mike Lee and Rand Paul, who objected to his nomination. Powell has said he would consider "appropriate ways" to ease rules on banks while preserving core pieces of the 2010 Dodd-Frank regulatory law, including annual stress tests for banks and strong capital requirements. He has lauded the central bank's patient approach, led by Yellen, in gradually raising interest rates and slowly unwinding the $4.5 trillion balance sheet that the Fed amassed to support the economy after the crash. Yellen's term expires February 3. Powell, a consistent ally of her policies, faces the delicate task of keeping the economy running as he begins his four-year term. Two immediate challenges facing him are how quickly to raise interest rates and how to continue the safe unwinding of the balance sheet. In December, policy makers voted to raise the federal funds rate, which helps determine rates for mortgages, credit cards and other borrowing, to a range of 1.25% to 1.5%. Central bankers also penciled in plans to raise rates three more times in 2018, and then twice in 2019. Financial markets do not expect Powell to deviate significantly from the Fed's current policy path. In deciding to raise rates slowly over the past year or so, the Fed has weighed competing forces. Stubbornly low inflation and consumer prices have suggested the Fed should hold off on raising rates. But steady economic growth and low unemployment suggested it should act. Another potential wrinkle: The $1.5 trillion tax cut signed by Trump late last year. Its effect could be immediate on the economy, helping encourage businesses to invest and buy more equipment, while putting more money in Americans' wallets. But the tax cut could also force the Fed to raise rates faster if it stimulates the economy further.